Birth date : August 5, 1927. Birth palce : Tuticorin, India. Birth Name : Joseph Panimayadas Rodriguez Chandrababu. Died : March 8, 1974 Chennai, Tamil Nadu, India. Father's Name : Joseph Pichai Rodriguez. Mother's Name : Roselin Fernand. Occupation : Comedian, actor, director, playback singer, singer and dancer. Albums : Neethi, Nimirndhu Nill, Kadavulaikanden Tml, Sirippu Varudhu Sisippu Varudhu Tml Ver, Yaarukku Sondham Tml, Thiruvilaiyadal etc. 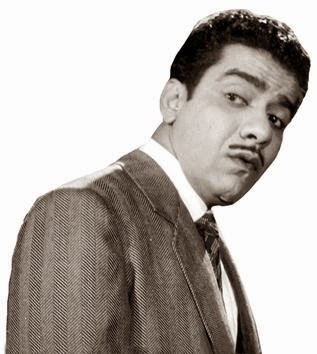 Famous Films : Thattungal Thirakkappadum (1966), Yaarukku Sondham (1963), Paadha Kaanikkai (1962), Kumara Raja (1961), Padhi Bhakti (1958), Pudhaiyal (1957), Gulebagavali (1955), Andhaman Kaidhi (1952). "J. P. Chandrababu" is a very wonderful personality throughout his film career he played a tremendous role in all fields such as comedian villan hero drama and also in all types of negative and positive roles. He is very honest to his work. Any of his tremendous films when comes in mind all make us happy sad and proud. All his movies makes him a very huge personality. He always did the full disambiguation with all his roles offered to him. He is also very successfull in both his social and his personal life. His name will remains in golden words always in bollywood history.